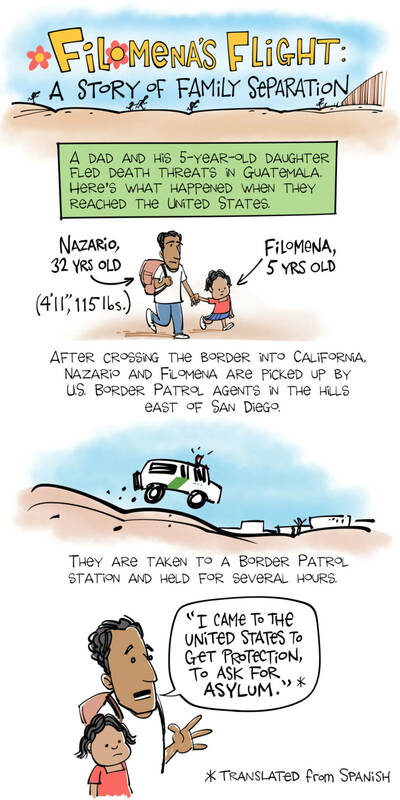 For more about what happened to Filomena and her dad when they crossed the border seeking asylum in the United States, check out the reporting of KQED's Tyche Hendricks. NOTE: KQED originally spelled Filomena's name Filemona, as it appeared on a U.S. court document filed by her father. In fact, her name is spelled Filomena and appears that way on her Guatemalan birth certificate.